4,960 others viewed this post. Back to earth for a bit with more favourable conditions for wildlife photography today. 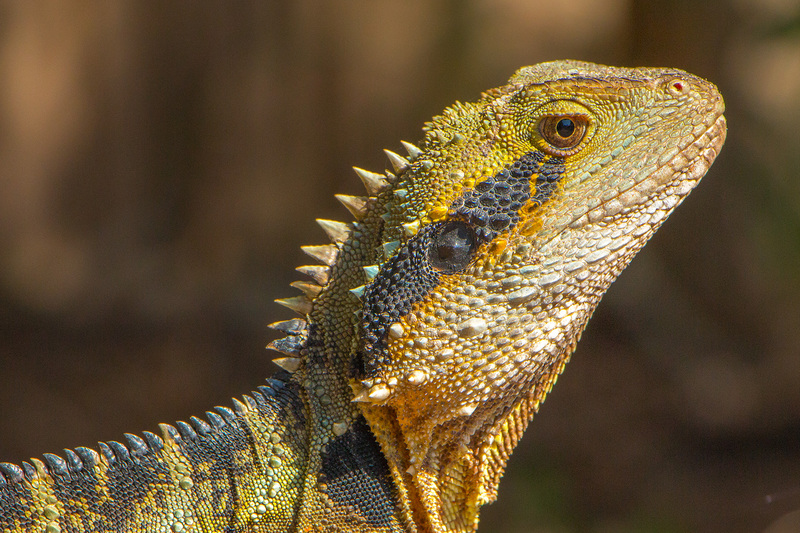 An Eastern Water Dragon (Physignathus lesueurii) joined us for our morning coffee in Byron Bay today. This is a little fella.. but he kind of looks like an alien landscape up close.